Assam Rifles Admit Card for Technical & Tradesman Exam - Download online Call letter, Hall tickets for assam rifles exams from official website. The Assam Rifles Online Admit Card or Call Letter 2017-18 is out!.Exam Date is scheduled to be conducted on 05 January 2018. You can download your Assam Rifles Admit Card form official website link as given below & check your Exam Date & Exam Centre now. Click the Direct Link . Enter your Registration ID number or Email Id. Enter Date of Birth in the given fields (dd/mm/yyyy format). 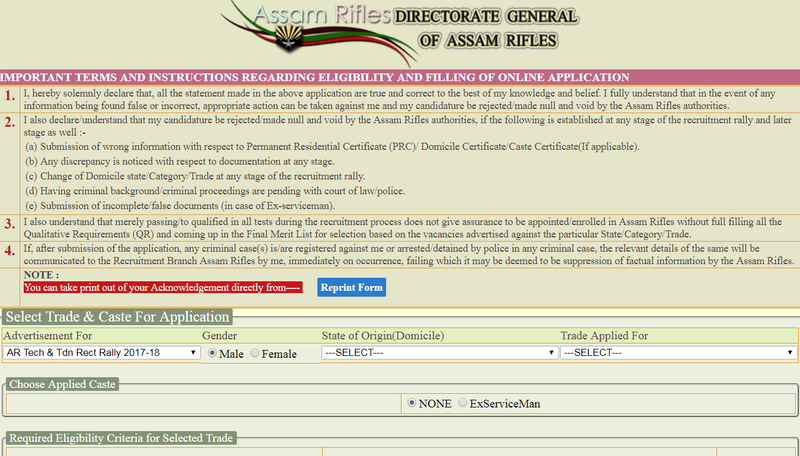 Click on the ‘Get Details’ button and download your Assam Rifles Admit Card 2017. Sav and Print the downloade Call letter.